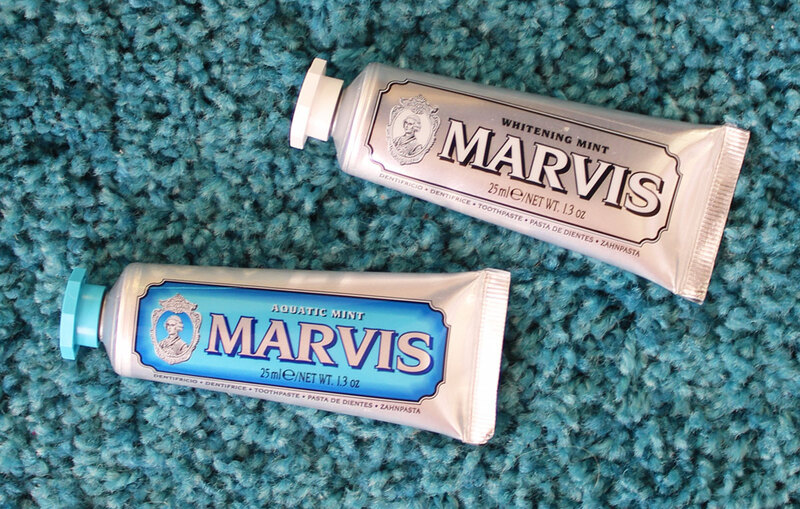 Marvis is one of the most luxurious toothpastes available today. Elegant packagingSubtle smooth tasteFewer ingredients than many toothpastes (less is more these days)Expensive price of entryDelivered in small portions, like caviar Marvis does not miss a single point. I have the pleasure of owning and using both the "Aquatic Mint" and "Whitening Mint" flavors. Aquatic Mint is my favorite of the two. It ranks among the best tasting toothpastes of all time. It's super smooth, clean, refreshing and worth keeping in my mouth longer than usual. Whitening Mint is stronger. I have not used it long enough to report on its whitening effects. My guess is that my teeth are so far gone from years of coffee drinking that they are beyond help. Both toothpastes are smooth pure white in color.